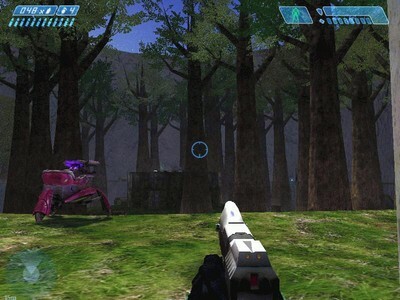 Description: The Omen is a map for HaloCE which is loosely based on the final outside section of the Halo single player level: Truth and Reconciliation. At the heart of Beta Halo, the second of the 7 sacred rings, was a medium sized station strangely absent from the Alpha and Delta Halos. 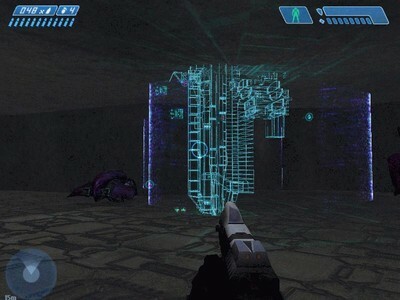 The various boxes left behind indicate that the Covenant have already discovered The Omen, and are aware of what it does. To us, its purpose is still unknown. The Omen is a map for HaloCE which is loosely based on the final outside section of the Halo single player level: Truth and Reconciliation. The map is designed for 6-12 players. All gametypes are supported, although the best gametype for The Omen is CTF. -Arteen for making the leet coloured teleporters. -rec0 for telling Dragon about H2-Momentum conflicting with the map. -Everyone else who contributed to the making of the map. I hope everyone enjoys the map, and I hope you have as much fun playing it as we had making it.